It is no wonder you find it difficult to figure out what to do when it comes to burning fat and getting fit. Lucky for you… This is my field. My arena. My court. 1. Your workouts are lasting too long. Back in college, my mindset was “the longer I workout, the better.” Although my 90-120 minute workouts worked for a short period of time, my body very quickly started breaking down. Since that time I have come quite a long way… In fact, 95% of my workouts never go past the 30-minute mark! Sound crazy? It’s not. In recent research, Italian scientists studied what they call “High Intensity Interval Resistance Training” (HIRT) and compared it to traditional weight training. In the study, researchers have the HIRT group train for 30-minutes each session while the traditional group got to train for 60-minutes. What they found was that although the HIRT participants worked out for half the time as the traditional group, they were able to increase the afterburn effect by 450% compared to the traditional lifting group. This translated into 22 hours of afterburn or an extra 452 calories burned… From a 30-minute workout! It is all about doing the right workouts, not about how long you workout. Train smart for better results! 2. You are not sprinting 2-4 times per week. Let’s be honest, you know my love for sprinting. And the reasoning is pretty simple: results. Sprints target belly fat, increase GH and testosterone, promote lean muscle growth, and make you look like an athlete. It is the best fat burning exercise in the world (I am serious). Look at any sprinter and what is the first thing you notice? Defined arms and legs… And ripped abs! Sprints allow your body to work at your anaerobic threshold which in turn means you will maximize fat as your bodies preferred source of energy used. “Sprinting is the purest, most powerful physique shaper in an athletes arsenal.” So, yes… You should start sprinting! Long, slow cardio… a thing of the past. It doesn’t work, we know that. But what about intervals? Are intervals really outdated? I have been in a constant battle with this one in my testing lately. See my problem with intervals is that many times they don’t allow you to push as hard as you possibly can. Let’s say your trainer tells you to take a 30-second rest in between exercises. For some the 30-seconds may be too short, not allowing them to recover well enough for their next set of exercises. For others the 30-seconds is too long of a rest which doesn’t allow them to push as hard as they should during the workout. That is why I like to manipulate rest periods for my workouts, my clients, and why I recommend you do the same. What this means is that during each rest period, you take as long as rest as needed so that your body is almost fully recovered for your next exercise. Now this does not mean you can slack off and take 5-minutes between exercises but what this forces you to do is take an optimal amount of rest for your body! Rest periods are never the same throughout most of my workouts. They vary depending on how I am feeling from the previous exercise. For example, going from squats to push-ups may yield no rest in between while going from burpees to squat jumps may yield a 15-20 second rest. What you must make sure of is that you are always pushing yourself to get better each time you workout. This means cutting down rest periods, pushing for more reps, getting stronger, etc. This is what will allow your to get cut up and lose the most fat fast! => Learn how to manipulate rest periods with these workouts found here <————- Compete for your results! 4. Strength training and getting stronger is not a priority. Each day when you go to class, study, do homework, etc. what is your goal? To become a better and smarter law student right? To progress. Improve. Get smarter. The same should be true in your workouts. Each time you hit the gym or go into a workout, if you are not trying to get better and stronger… Something is wrong. Progression is such a key factor in the results you see. You know those people at the gym that lift the same weights day after day, never increasing them or changing their routine? There is a reason they look the exact same now as they did a year ago. However, the people that are constantly getting stronger, doing new workouts, pushing harder… Those are the ones who have the incredibly defined physiques and see the most results. If you aren’t focused on progression, something is drastically wrong and must change! It really comes down to how you attack your workouts. If you don’t go into your workout ready to get stronger, faster, and leaner, more likely than not you are going to struggle to get the physique you want. Start focusing on being smarter in your workouts. Go against the mainstream. Push harder. Stay focused. Progress. Sprint. Manipulate your results. Go hard, be smart, and never stop pushing the limits! 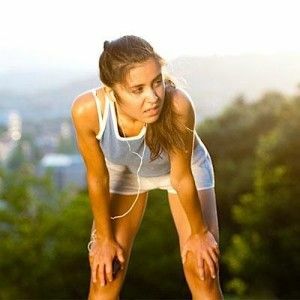 => Done-For-You workouts found here <—- See how one client lost 6 pounds of pure fat in the first 7 days of doing these workouts!